Register for WETM-IAC 2016 before 18 December, 2015 and save EUR 150 on regular prices! Early bird prices start at just EUR 649 for members of WYSE Work and Volunteer Abroad, IAPA and WYSE Travel Confederation. WETM-IAC is the focussed trade event for organisations in the cultural exchange, au pair, volunteer, internship and work experience industry. The airlines of SkyTeam offer attractive airfares for WETM-IAC 2016 delegates with 5 to 15% discount on the net fare, excluding taxes. To book your flights now. 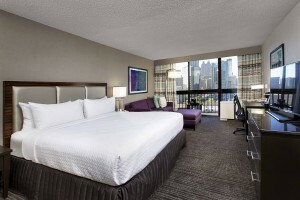 WETM-IAC 2016 will be held at the Crowne Plaza Atlanta Midtown. We have reserved plenty of rooms at the conference hotel at a specially discounted rate, to make sure you stay with us and have the best access to the conference! 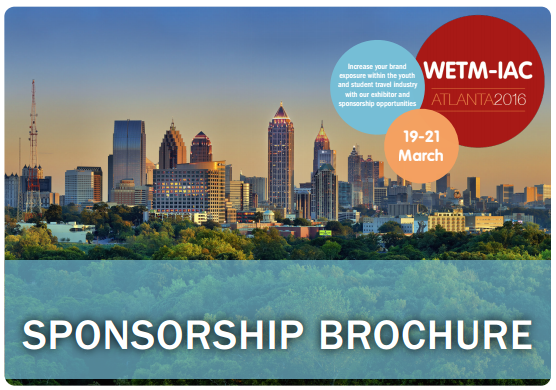 A variety of cost effective sponsorship and advertising opportunities are available to maximise exposure for your organisation, products and services. Have you considered sponsoring the delegate bags that are carried by delegates throughout the conference and taken home afterwards? Or what about having your own booth to prominently display your organisation and to host your business appointments? To discuss the available sponsorship and exhibitor packages, or when you have a bespoke request, please contact us at events@wysetc.org.